IT management software provider, SolarWinds, has completed its acquisition of service management software company, Logicnow, in a move targeted at the MSP market. The deal was backed by a consortium of investors led by venture capital firm, Insight Venture Partners. Logicnow develops Cloud-based IT Service Management (ITSM) targeted at the MSP market and the acquisition will add to SolarWinds’ offerings and give it greater market share. 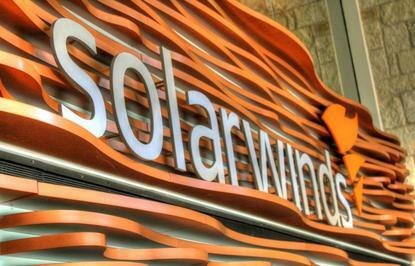 SolarWinds previously acquired N-able in 2013 and the addition of Logicnow will create the SolarWinds MSP business. The new entity will deliver IT services management solutions offering data-driven automation, security, network management and service management to a customer base of 20,000. SolarWinds CEO, Kevin B. Thompson, said the company was committed to the growing MSP market and has realised great success through the acquisition of N-able, making the acquisition of Logicnow a natural next step. "SolarWinds MSP, combining the capabilities of Logicnow and SolarWinds N-able, will offer MSPs a complete set of IT service management solutions via the cloud and on premises delivery models,” he added. Logicnow CEO, Walter Scott, has been appointed executive vice-president of the new company and said the combined teams would utilise their domain expertise and data analytics capabilities to deliver new products. "Our strategic vision and ability to execute will provide ever-greater support to our customers as they differentiate their services and look to achieve faster, more profitable business growth,” he added. The new entity will be in direct competition with Kaseya and its CEO, Fred Voccola, has already taken a shot at his rival’s acquisition strategy dubbing it ‘risky’. “Neither N-able nor Logicnow (formerly GFI) have ever evolved much beyond basic endpoint management and are now reacting to innovations such as Kaseya's in order to remain relevant to their customers,” he added. “What we see with N-able and Logicnow is that their customers typically come to us when their needs scale beyond 500 end points, not only because of the performance limitations of their platform, but more importantly, because they don't have the automation, policy management and ease-of use required to enable their customer's staff to operate efficiently.